Evangelia joined Nobel Trust in 2013 and is working as a tax and compliance consultant. She focuses on the assessment of international corporate structures from a tax and legal perspective, and assists clients on complex corporate administration and regulatory matters. 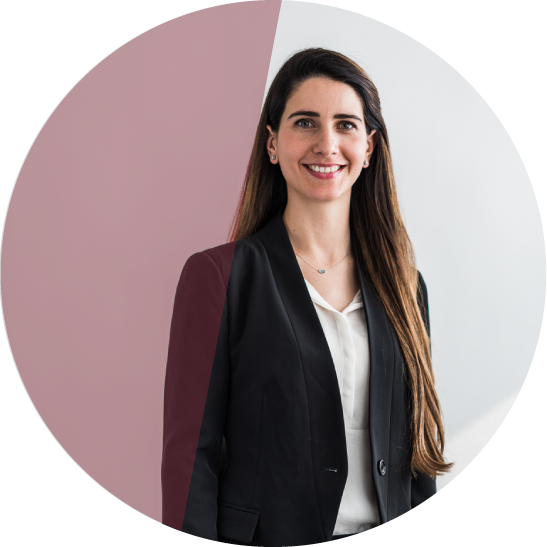 Prior to joining the firm, Evangelia was a trainee at Ioannides Demetriou LLC and completed the Cyprus Bar in 2013. Evangelia obtained a First Class LLB from the University of Kent in 2011 and an LLM in Tax Law at the King’s College London in 2012. As an individual she likes to handle all matters with efficiency and people often tease her for loving To-Do lists. Also, she is positive and enthusiastic and believes that this is the only way to be successful at anything you do. If she had to choose an extraordinary experience this would be dining in absolute darkness in Paris in a restaurant designed to invert the guests’ point of view. She would choose this since it was definitely an experience which awakened the realisation of the extent to which preconceptions guide our senses in everyday life and what it’s like to be freed from them even for a bit. Apart from the professionalism and proactive attitude which always guides the provision of services at Nobel Trust, what I like most about the company is the passion with which they invest in people, bringing out the best qualities in each person in a way which results in a stronger, more effective team. I also find it very cool that during breaks we get to hang-out at our bean-bag lounge eating m&s!